This is a partial preview. Full document is 6 slides. View large preview. This deck will guide you through the process of building a business case for entering new markets. It was used within the strategy & new business development group within a top tier, multi-billion dollar company for all new market entries. 27-slide PowerPoint deck. A Direct Marketing & Channel Entry Plan for Aristocrat Whisky in the Nigerian Market. Includes Market Analysis, Brand Positioning, On-Trade and Off-Trade Activation Strategy and Mechanics. 48-slide PowerPoint deck. Market Entry Communications and Channel Penetration Plan for Acorn Lubricants, in the South-Western Market of Nigeria. 157-slide PowerPoint deck. This is a report of a telecom company (sanitized) about its 3G strategy. The document outlined product strategy/product offerings, pricing plan, promotion channels and distribution channels/mix. 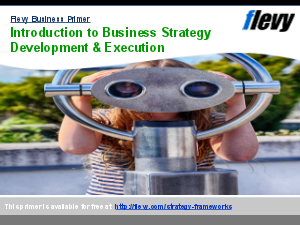 It is a good reference for strategy development in a dynamic environment. Market Entry Example? Channel Distribution Strategy Example? Lean? Or something else.